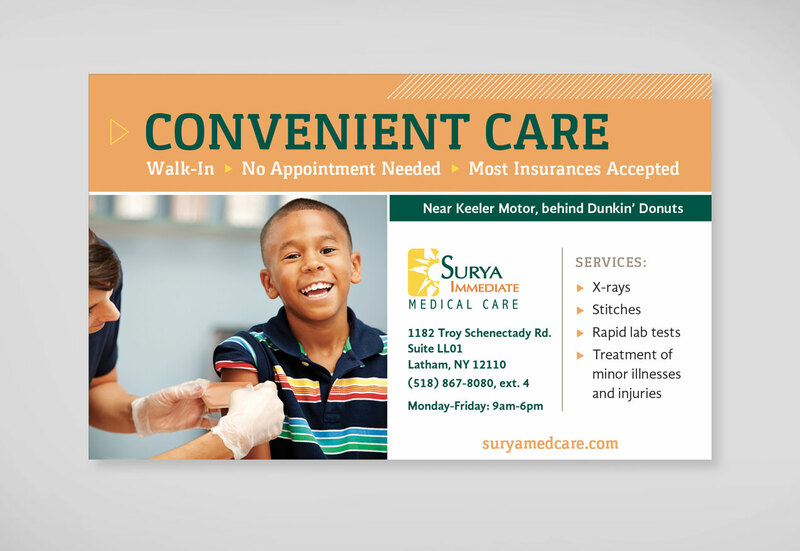 Surya Immediate Medical Care, a walk-in urgent care center in Latham, NY, wanted to increase their presence within the community. 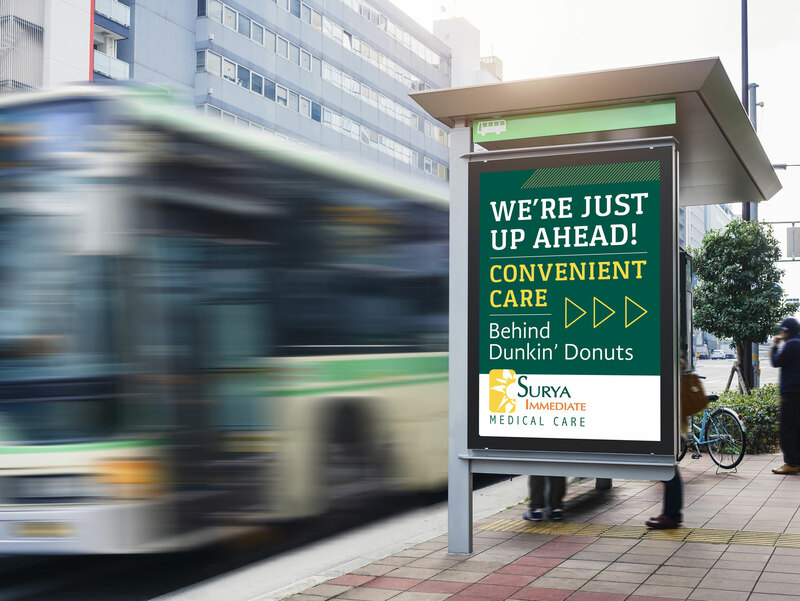 To accomplish this, we created a number of print ads and outdoor signage highlighting their location and abilities. 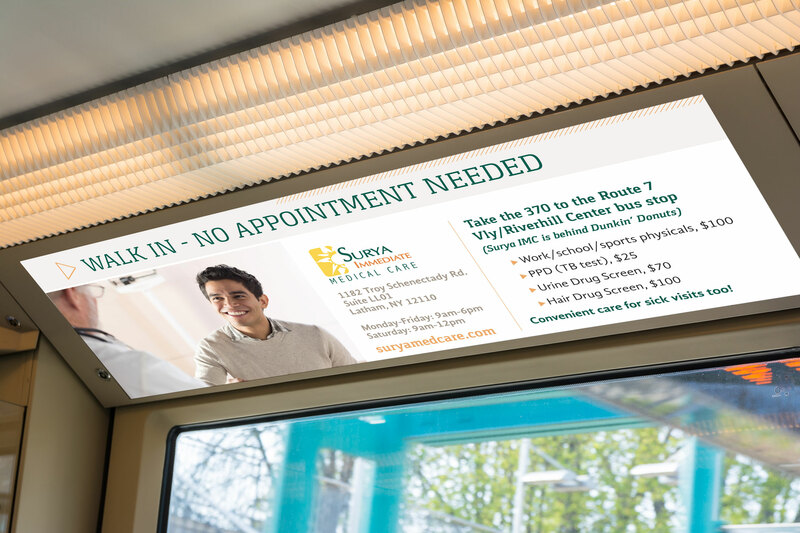 A direct mail campaign utilizing variable data printing targeted the mailing area within five miles of their center. 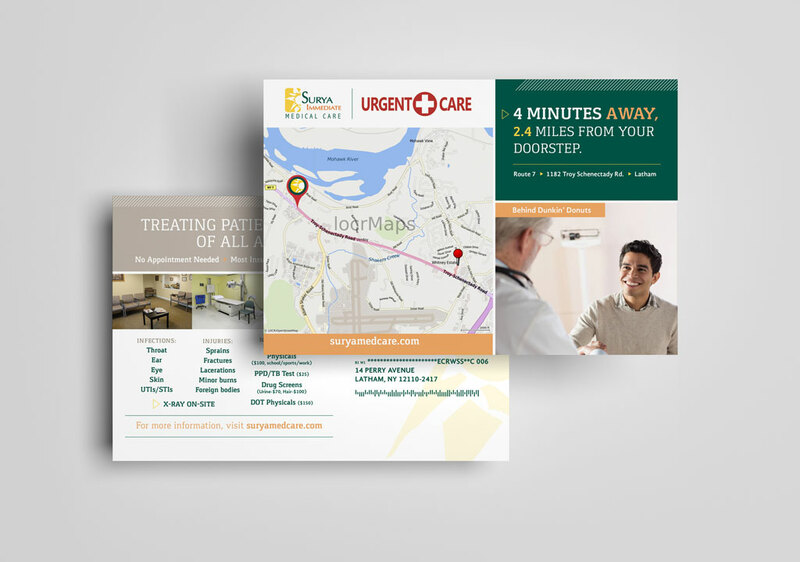 A series of six custom postcards, sent over the course of six months, provided each recipient with a customized map to the office.